Check-in and Walk-up Registration begins at 1:00 PM. Walk/Run begins at 2:00 PM. 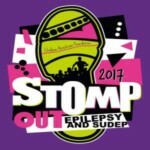 Help STOMP be even more successful by setting up a fundraising team so that The Chelsea Hutchison Foundation can grant more comfort and hope to those living with epilepsy and seizure disorders. Setting up a fundraising page is FUN and easy. You will have the ability to personalize your own page to share with your friends and family and will be provided with a link to your unique page. 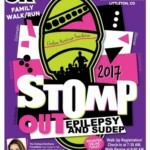 In her memory The Chelsea Hutchison Foundation is designed to assist people living with Epilepsy. 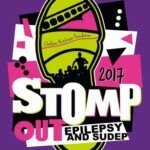 Funds raised by this Foundation provide grants for seizure-response dogs and epilepsy monitors for those in need, educate the public about SUDEP.